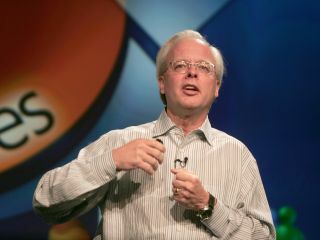 Departing Microsoft boss Ray Ozzie has outlined his vision of a 'post-PC' world in which most of us work in the cloud. Ozzie, who recently announced his plans to step down as Microsoft's chief software guru, envisions simple, web-connected devices as the future of computing. "Let's mark this 5-year milestone by once again fearlessly embracing that which is technologically inevitable. "The next five years will bring about yet another inflection point -- a transformation that will once again yield unprecedented opportunities for our company and our industry catalyzed by the huge and inevitable shift in apps and infrastructure that's truly now just begun." Ozzie sees a shift away from expensive desktops and laptop PCs to computing devices that are "instantly usable, interchangeable and trivially replaceable without loss." "Close our eyes and form a realistic picture of what a post-PC world might actually look like, if it were to ever truly occur," added Ozzie in the blog. "Those who can envision a plausible future that's brighter than today will earn the opportunity to lead." Speaking of competitors such as Google and Apple, the Microsoft boss noted that: "Their execution has surpassed our own in mobile experiences. "Today's PC's, phones and pads are just the very beginning. We'll see decades to come of incredible innovation from which will emerge all sorts of 'connected companions' that we'll wear, we'll carry, we'll use on our desks and walls and the environment all around us."